I identify myself as an all around influencer whether it be styling, blogging, creating, etc. My style is versatile. I love combining genderless and gendered silhouettes, juxtaposing patterns and textures, and playing with proportion. I also love adding a vintage twist to my ensembles. I am proud to be confident and unapologetically me! I am comfortable with the person I have become and have no problem displaying it. 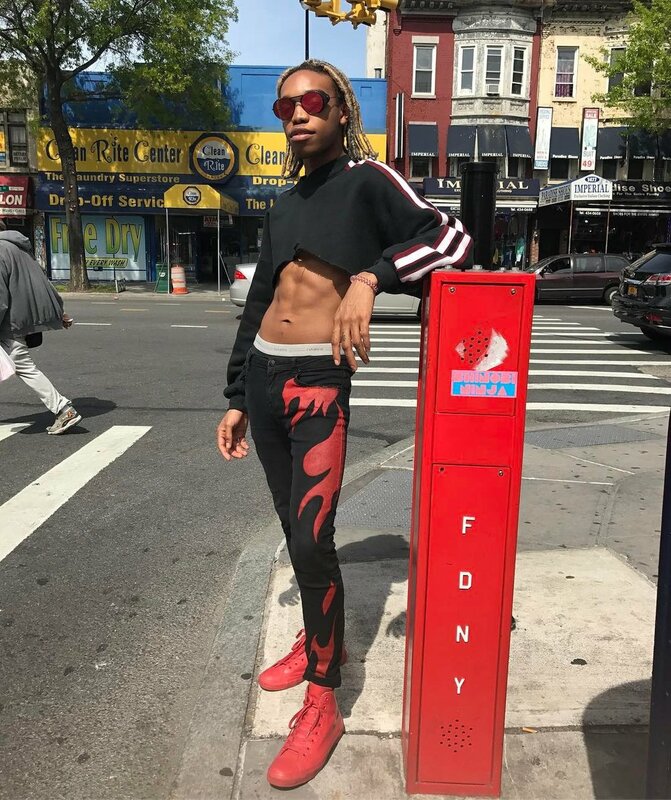 [I grew up in Brooklyn], where the environment cultivates a very specific idea of culture, lifestyle, and fashion; people often dressed according to their social circles. I, however, did not limit myself to looking one way. I never let society stop me from [experimenting in fashion]. How do you use style or aesthetic as a tool to explore or express your identity? I dress according to my personality. I am very vibrant, outspoken, and bold. I use loud colors, pattern-blocking, or monochrome sets to express my individuality. How has the way that you express yourself through fashion changed overtime? I express myself through fashion. The industry has definitely helped push me to the right places. My outfits express my point of view, which is often translated as soon as I enter the room. The fashion industry is all about unspoken statements because not everyone has the time to talk. One piece of clothing or accessory you can't leave the house without? I can not leave the house without is my "Nasty" necklace from Verameat. I have never taken it off since they gifted it to me—which is weird because I have never done that with any accessory!